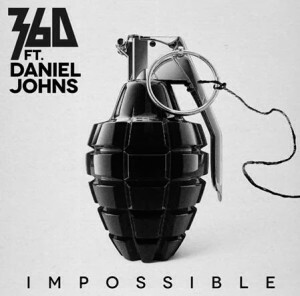 Former Silverchair frontman Daniel Johns is back in the spotlight later this month with a brand new collaboration… this time with rapper 360 on his forthcoming single ‘Impossible’. Co-written by 360 and Daniel, the tune is to be released digitally on January 17. ‘Impossible’ is the lead single from 360’s forthcoming third album called ‘Utopia’, which will feature a further collaboration with Mr Johns, along with others from Pez, Chris Cheney from The Living End and Styalz Fuego. More details about the album’s release are expected soon.